Mark received his Bachelor’s Degree from UC Berkley in 2001 and his law degree in 2005 from the University of San Francisco. 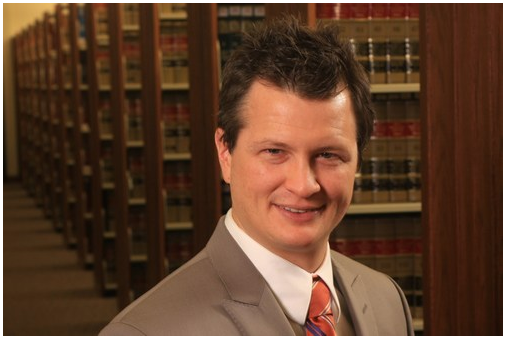 He is licensed to practice law in both Nevada, California, and nationally in proceedings before the United States Patent Office. In order to achieve this designation, he was required to demonstrate a high level of understanding of United States patent law and regulations and hold a degree in a scientific or technical discipline. Mark opened the Goodman Law Center in 2007, motivated to provide a unique approach to law practice. Mark strives be friendly, approachable, thoughtful, creative, and cost-effective. Mark sometimes even makes dealing with a legal problem fun. Mark’s main practice areas are Debt Relief, Patent/ Trademark Law. Other types of cases are accepted on a case-by-case basis. Mark and his wife, Dr. Robyn Goodman, love to travel, ski, rafting, hiking, and just about anything outdoors. Mark is also a former intercollegiate ice hockey and soccer player and continues to compete in recreational leagues.